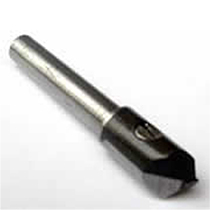 We manufacture all types of tools required for CNC, VMC & all other latest machinery. CNC or "computer numerical controlled" machines are sophisticated metalworking tools that can create complicated parts required by modern technology. Growing rapidly with the advances in computers, CNCs can be found performing work as lathes, milling machines, laser cutters, abrasive jet cutters, punch presses, press brakes, and other industrial tools. The CNC term refers to a large group of these machines that utilize computer logic to control movements and perform the metalworking. This article will discuss the most common types: lathes and milling machines.